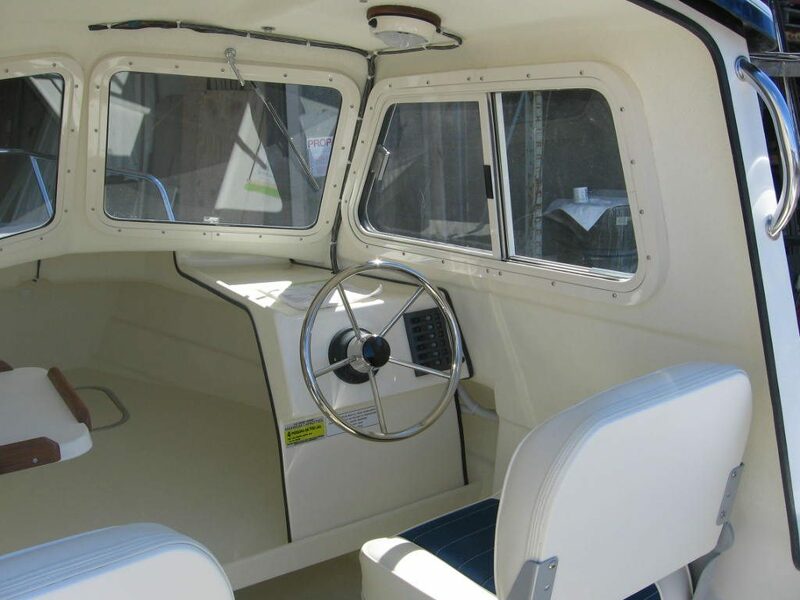 A salty little cabin affords plenty of protection from the elements. It’s this cabin that sets C-Dory’s 16′ Cruiser model apart from the competition. 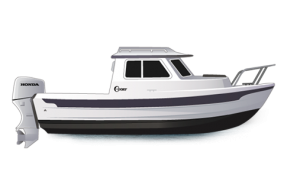 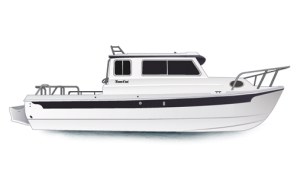 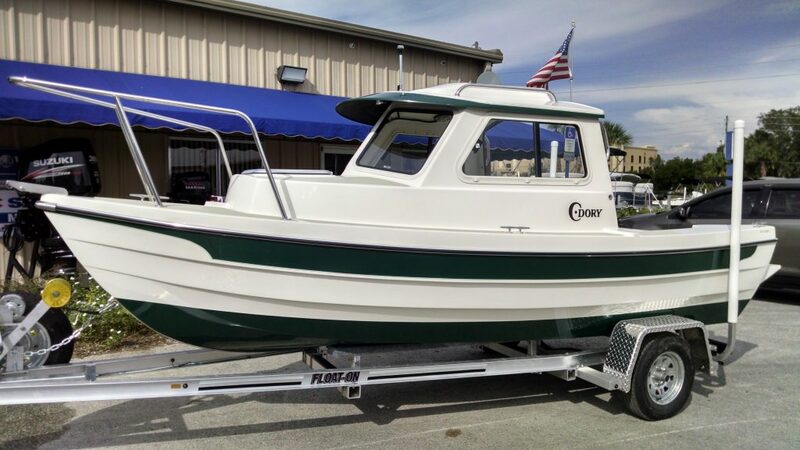 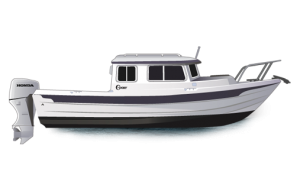 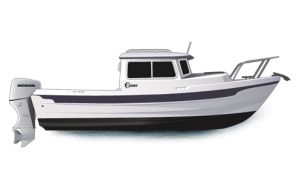 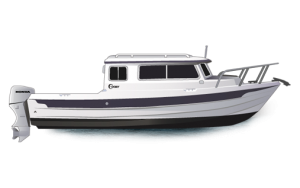 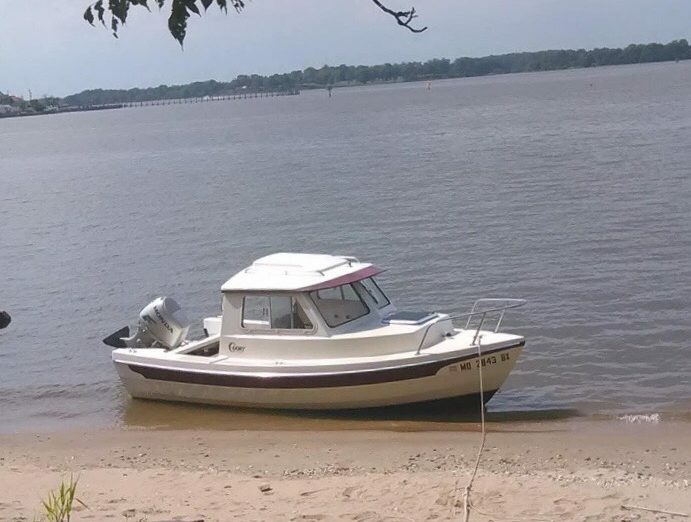 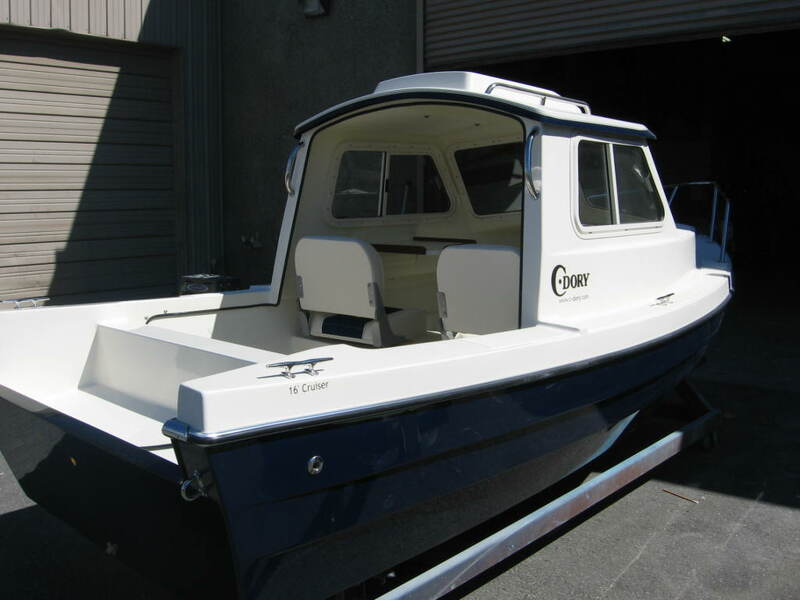 The 16’ Cruiser has a little larger cabin than the Angler model, and is located a little further aft on the hull. 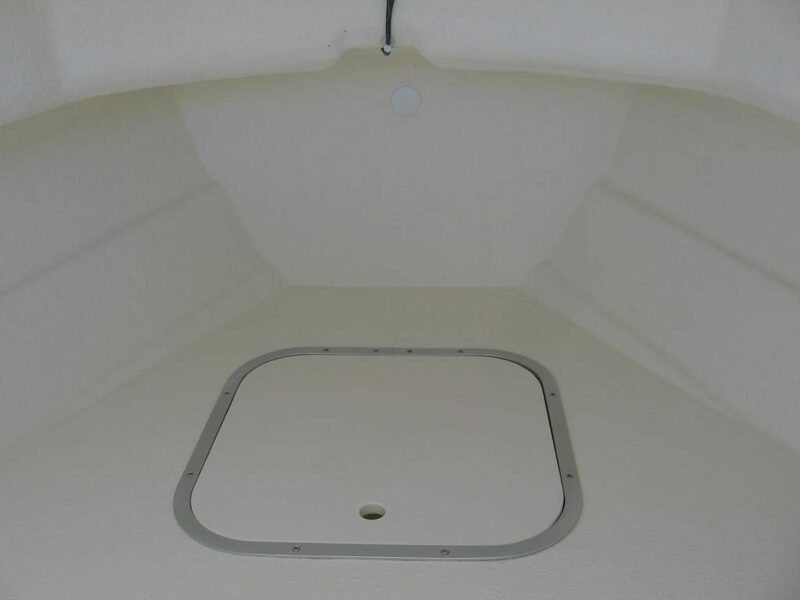 The cabin seats two people on swiveling seats mounted on storage lockers, two additional people can be seated on the aft edge of the “V” berth. 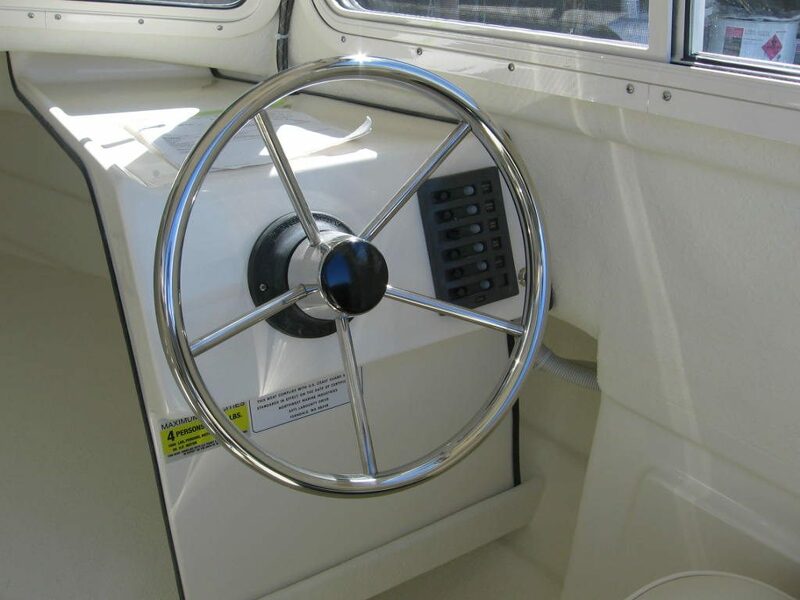 The berth area is open with only a dash on the starboard side. 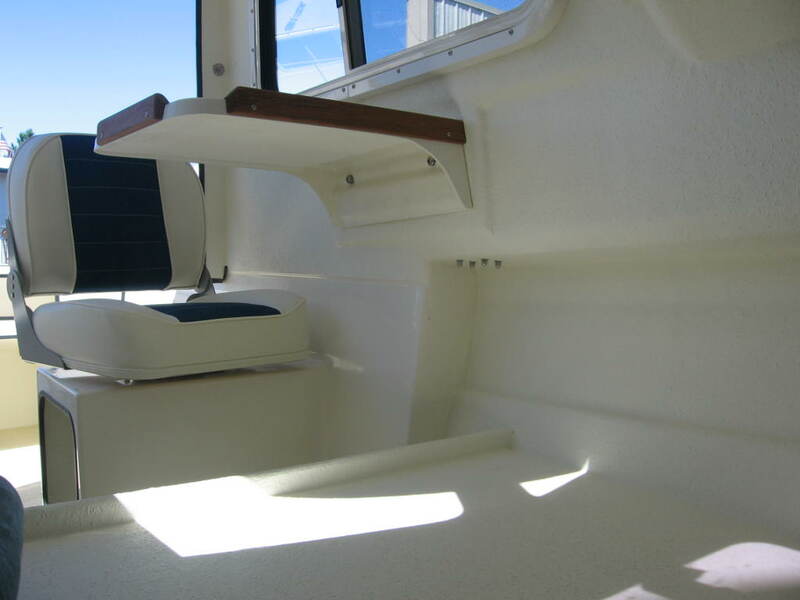 A removable table mounts along the port side. Storage space is available under the berth and under the two swivel seats. 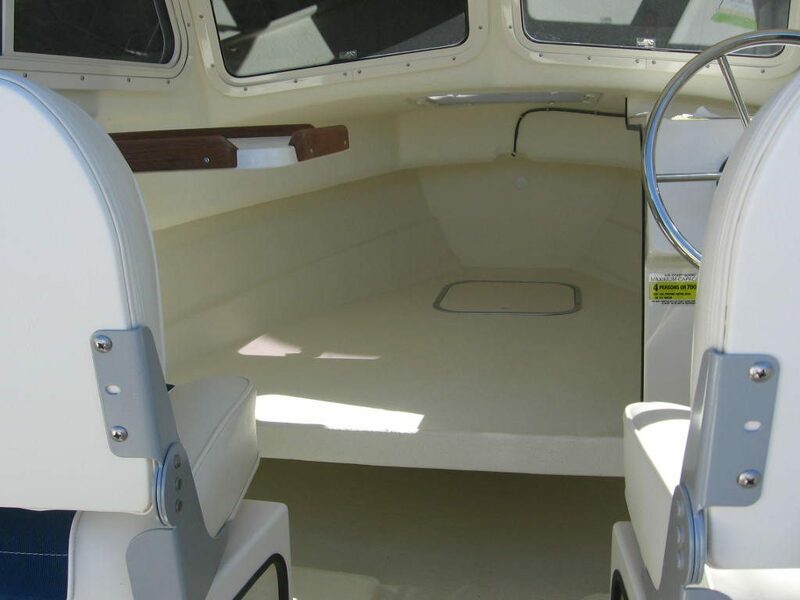 The aft deck is about 3′, from the back of the seats to the motor well.